A good film of a great play, scribbled when Shakespeare was limbering up and entering his white hot phase. 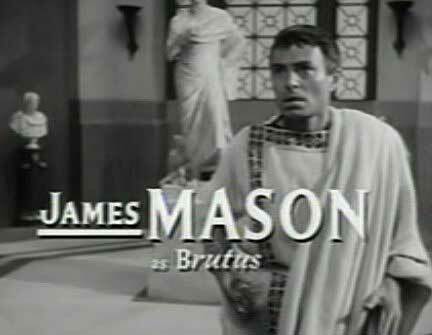 The story is mainly of Brutus, nicely and very glumly played by James Mason as the ‘reluctant’ conspirator. All of the key players are good, although one might say Louis Calhern plays Caesar much like he was as the big spy boss in Notorious (that playing strangely fits the minor but key part in the play but is much too vigorous for a 66 year old prone to fainting spells). Suetonius called Caesar “deified” and suggested that he was a notorious philanderer (his soldiers sang of him as ‘the bald adulterer’) including of Servilia, the mother of Brutus. This is not made explicit in the play or the film but it might tend to explain the ambivalence of Brutus. 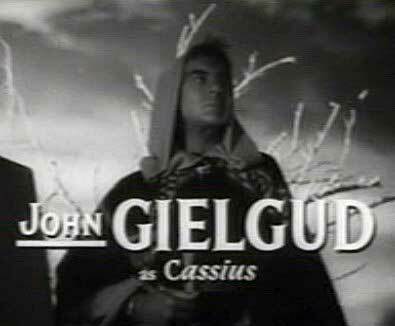 John Gielgud as Cassius has a more straightforward role but his intensity is just right. 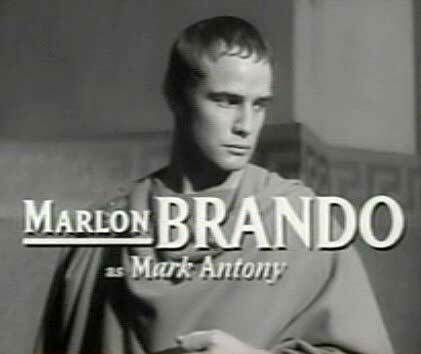 The revelation is Marlon Brando as Mark Anthony. Though he has a famous set piece, the funeral oration for Caesar to the citizens, he is nevertheless on the play’s margin, compared to Brutus. Yet Brando manages to show the fear, anger and rat cunning of Anthony, who is, after all, a political animal par excellence. You can see how crafty he is in dealing with the conspirators after the murder – with anxiety, respect and supplication, that soon turns to open hostility and incitement when he gets his moment to sway the mob. As he turns and leaves them, now baying for the blood of the assassins, you can see a small fox smile – as if to say ‘that is very neatly done’, which it was. Apparently there was some small controversy at the time over his casting – perhaps some feared a Stanley Kowalski style speech to the Romans. But it is a strong but subtle turn. TVC deducts one star because the swords simply didn’t look sharp enough…et tu, props?